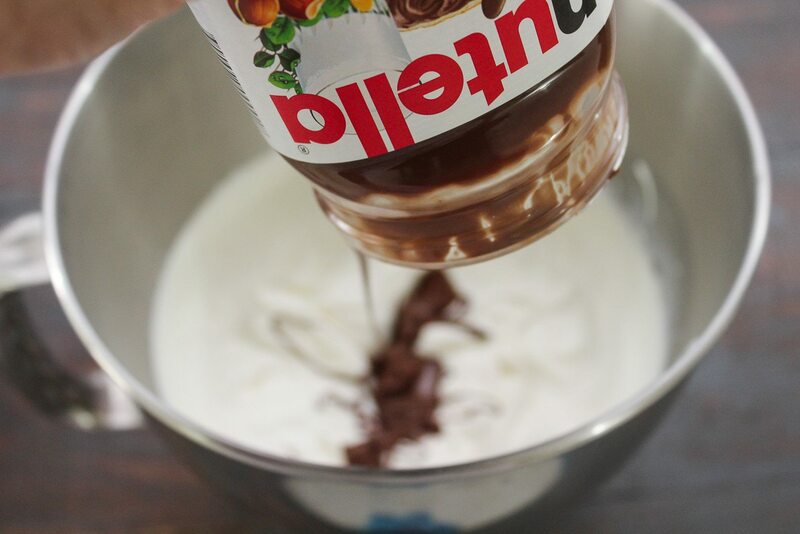 Bonjour Nutella lovers! This is your lucky day!!!! (four exclamation marks seems so less) So today we are doing an easy peasy two ingredient recipe!! This recipe is GOD sent because you can literally whip this up blind-folded!! Can you sense my excitement already?! With all these exclamation marks, if you still couldn’t feel my excitement, I figure that you have already blind-folded yourself and are all geared up to make this!! Excited much people? I do know that technically this isn’t a two ingredient recipe as Nutella itself comprises of so many other ingredients, but we don’t really need to go into the fundamentals and technical behind that yummy chocolate spread, Right? So yes, two ingredients it is! Chocolate-y, rich and creamy and it takes only 10 minutes to make these beauties. Easy peasy yet wicked. 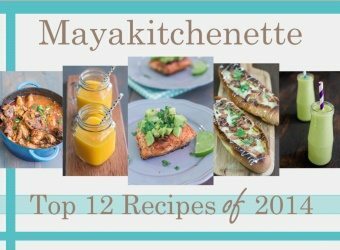 I wished I could own ownership to this recipe, but sadly no as I got the idea from Donna Hay. So I guess everyone knows what is Nutella. 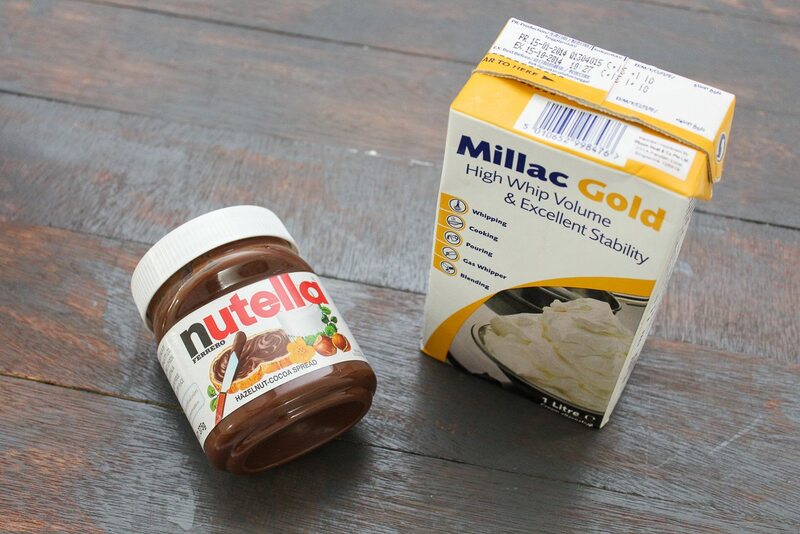 If you’ve never heard or tasted Nutella, where have you been all your life hiding under a rock? You can either a) continue being ignorant about it (not necessarily bad) but you dunch know what you are missing. B) Go to the nearest supermarket and buy 10493 bottles of these. Nutella is sinful, and no we are not talking about the calories here. It is just plain RUDE to use Nutella and calories in one sentence. I rarely keep a tub of Nutella in my house as the Nutella starts talking the moment it is in my house. I am not lying! It keeps calling me and I keep feeling compelled to go towards it. Nutella just like Ben & Jerry, is so easy to dig in, eat a spoonful and somehow everything magically disappears and all you end up with is an empty tub and guilt. 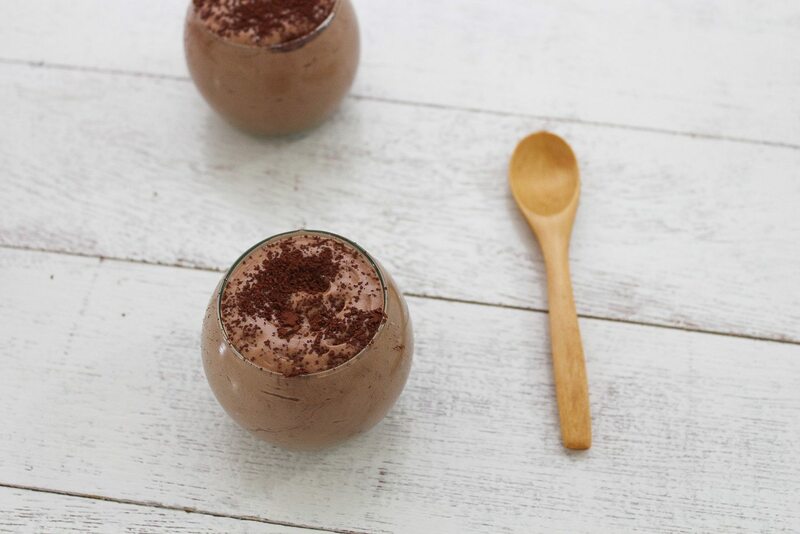 Anyways, this two ingredient Nutella Mousse is such a brilliant idea! I am so happy to have found it. There are people who are actually slaves to these tubs. Infact my friend was telling about her other friend (gossip gurls in the making) who would usually keep the nutella in her bag with a spoon. Omg…that is crazy. Crazily smart!! I can’t afford to often eat Nutella from the jar and pretend that it won’t do me any bad, but whenever I need to make an easy mousse and I do not have the time to crack and separate eggs, this would definitely be my go-to-recipe. It is too easy. Do give this recipe a try okay? In the meantime, pass me a spoon so I can eat some more nutella. 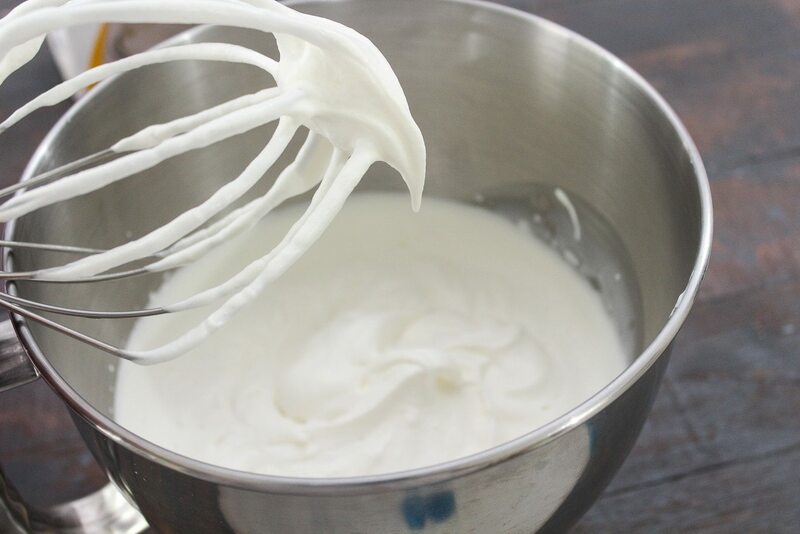 Use a cold bowl and cold beaters, beat 1 cup of whipping cream until soft peaks form. 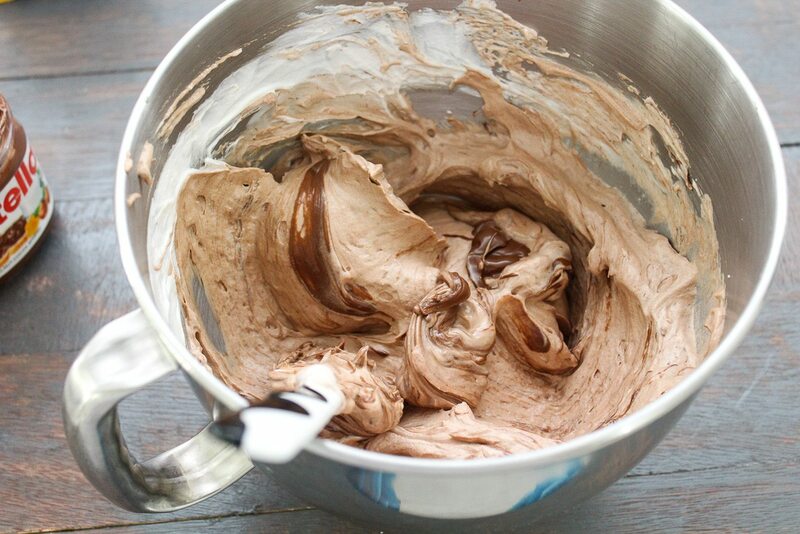 Gently fold in ½ cup of Nutella. 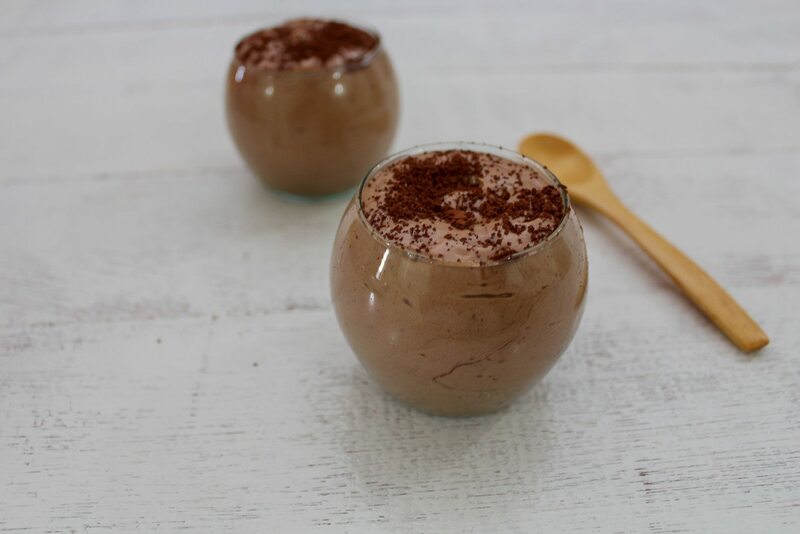 Spoon mousse into little cups/glass and place in the fridge until ready to use. Top with some cocoa powder, if preferred.